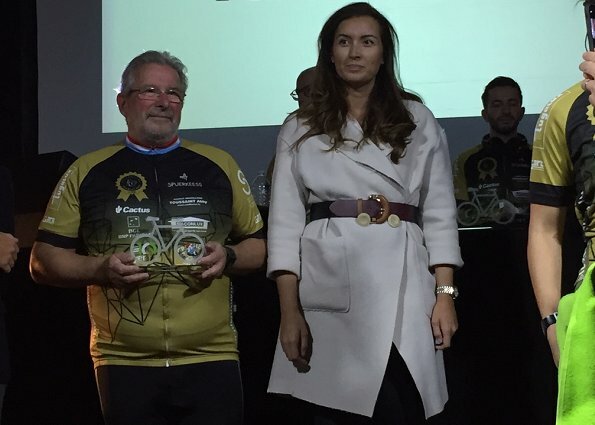 On October 21, Princess Claire attended the 10th Indoor Cycling Marathon at Luxexpo The Box, Home and Living Fair, in connection with World Day of Organ Donation and Transplantation. 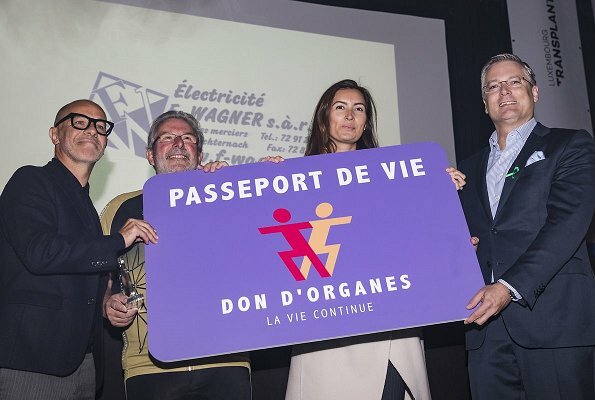 The event was held to raise awareness for the World Organ Donation Day 2018 and European Day for Organ Donation and Transplantation and also encourage further organ donations in Luxembourg. For the fundraising challenge, participants cycled from 10 in the morning to around 6:30 in the evening. Great to see pss Claire again. This is a very worthy cause. This saves lots of lives. I do like her coat but the belt is so far up. Wondering if she is expecting again. 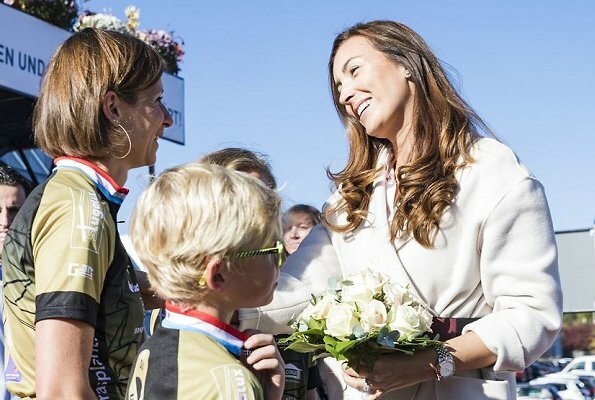 That is what natural royal young woman looks. It would be interesting if she and her husband take on a more public role now that Guillame and Stephanie have temporarily shifted to London. True! But someone like Claire Looks good in everything! She has the similar problem as Stephanie; unflattering coats and rather dull pants. I would say that there is nothing wrong with the coat, but just the belt is too much. What has happened to Claire, she was so stylish before. Now she looks unkempt and that coat is very ugly.